Nowadays, getting things done in a jiffy doesn’t necessarily mean you’re working harder. It could mean you’re working smarter using a bunch of nifty tools. 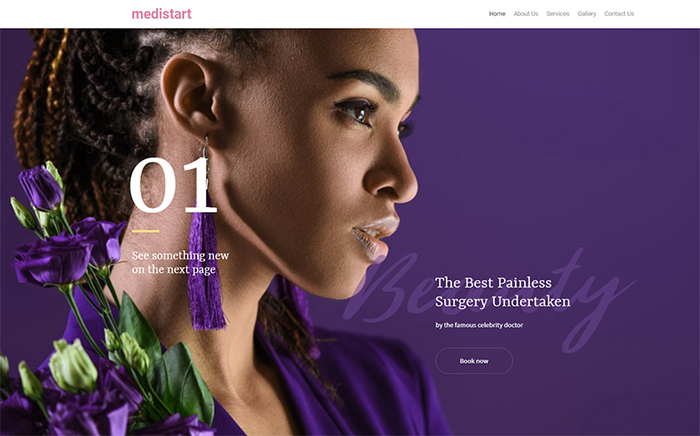 When it comes to website development, you want to start smart, here, we have 15+ of the best Elementor themes & templates designed to help you. Regardless of how experienced you are in web development, if you want to be successful, you have to use proper website builders. If you’re using Elementor Page Builder, congratulations, you’re on the right track then. It’s no secret WordPress is one of the most flexible and versatile CMS platform available today. 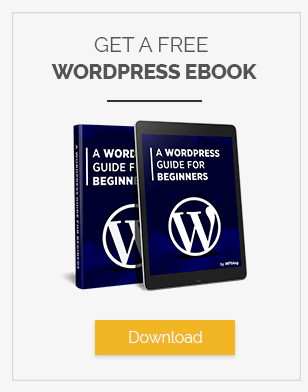 In the same way, the Elementor page builder is considered one of the best in terms of developing layouts in WordPress with an innovative drag and drop feature. You can put different page elements together to create a live visual preview of your website. Better yet, it lets you add new content without coding. Instead of wasting time looking for WordPress themes compatible with the Elementor page builder, check out Elementor Marketplace. It is the only spot in digital space brimmed with powerful Elementor themes, templates, plugins and extensions. One of the key features of Elementor page builder is simplicity, which is great for novices. 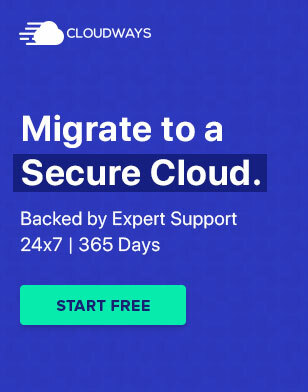 Besides, it comes equipped with a library of pre-made page templates, multiple content widgets, and the ability to revert back to a previous version of the page. Then, it gives you access to basic display settings to help you change backgrounds, margins, padding values, default colors, fonts, and much more. Oh, and there’s more, as a bonus, you’ll find 5 first-class Elementor plugins to extend the functionality of your website. 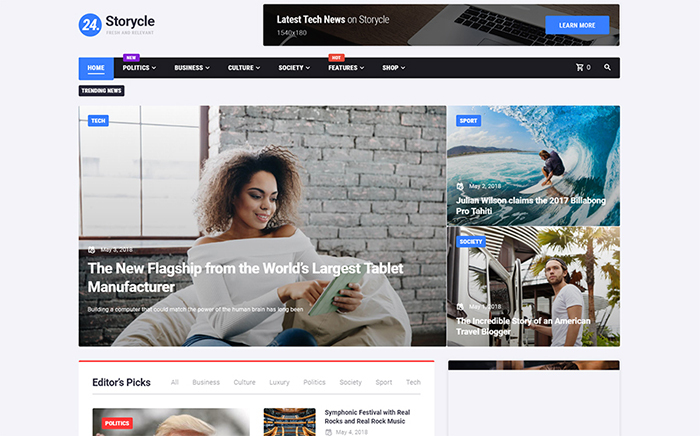 From now on it’s easy to find a multipurpose WordPress theme crafted for news and blog portals. Moreover, it’s extremely easy to create content with drag and drop without coding. 24. Storycle features JetBlocks for creating stunning headers & footers, JetMenu for creating a mega menu, and JetBlog addon for creating attractive post sliders. Moreover, it also comes with 10 single post layouts, 7 blog styles, 3 marvelous site designs, and much more. Above all, it allows you to make all posts on your site AMP-compatible. Don’t miss a chance to grab one of the best Elementor themes – JohnnyGo. here’s nothing impossible with JohnnyGo. 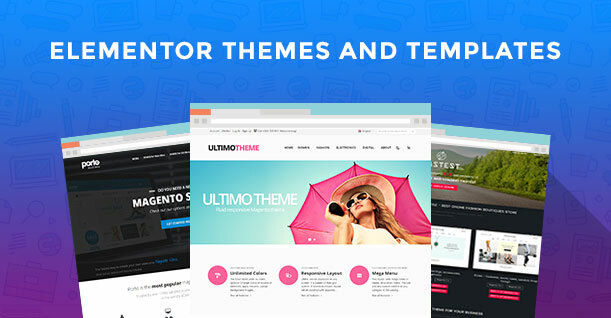 With this theme, you can enjoy a professionally crafted Elementor and WooCommerce WordPress theme. 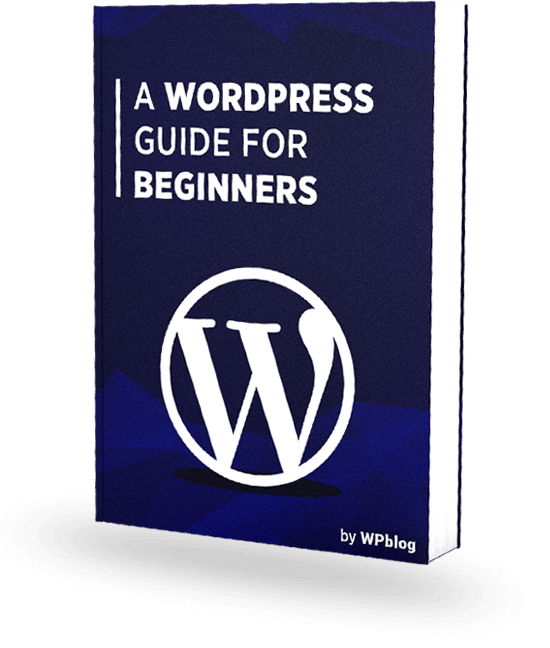 You get 24 custom pages, 5 gorgeous blog layouts, diverse header styles, and a bunch of Cherry plugins. Thanks to the Elementor live page builder, you don’t need to bother with codes. A complete package of JetElements will provide extra functionality you’ll love for your home services website. 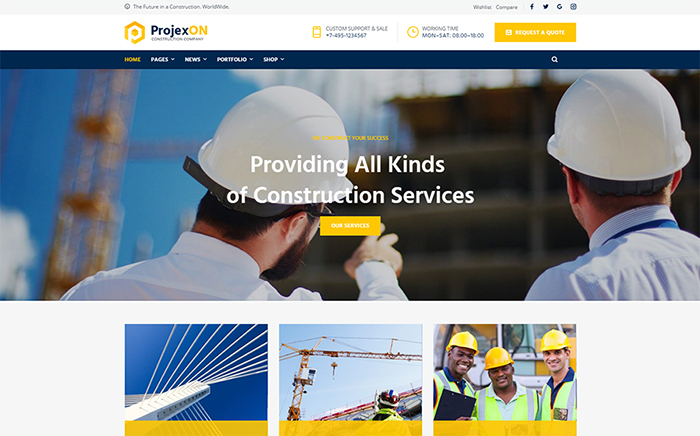 Enjoy a fully responsive WordPress theme crafted especially for construction businesses. Indeed, with multiple eye-catching pages for all occasions, it’s easy to represent your business in a more engaging and intuitive way. Apart from the brand new Elementor page builder, ProjexOn features JetElements and JetMenu plugins, 4 blog layouts, multiple header & footer styles. Besides, it’s SEO-friendly, cross-browser compatible, and even Ecwid ready. Get ProjexOn to turn your passion into success. 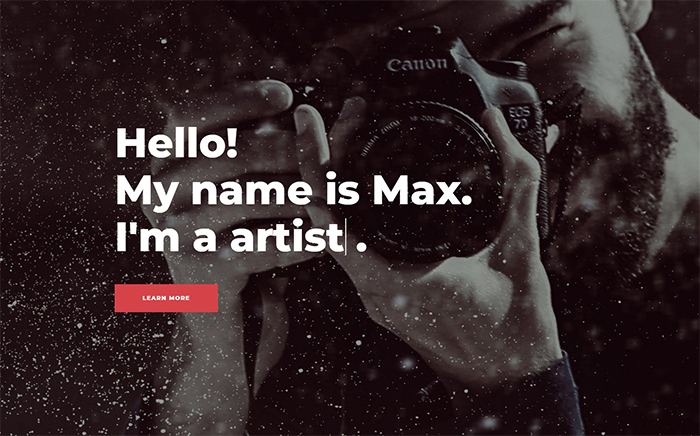 Want to create a professional photography portfolio website? You should give FrameMe a go then. 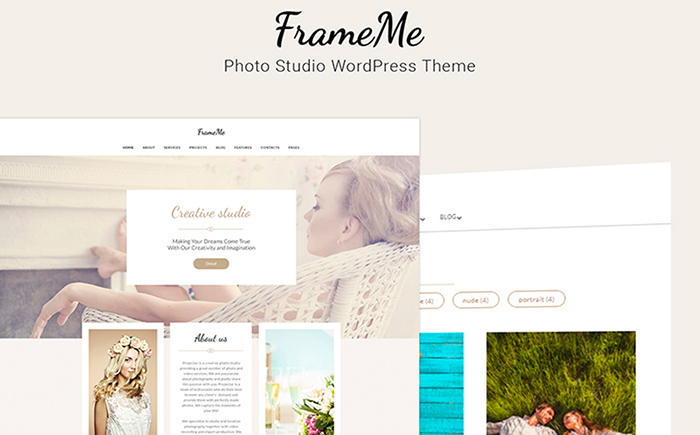 Apart from its clean and totally responsive layout, FrameMe is Retina ready & cross-browser compatible. Take advantage of amazing Cherry plugins, one-click installation, Booked Appointment plugin, and a friendly 24/7 lifetime support feature. Next, change the appearance of your website without any coding hassles. Start selling anything in a few clicks thanks to the Ecwid plugin that comes jam-packed into the theme. 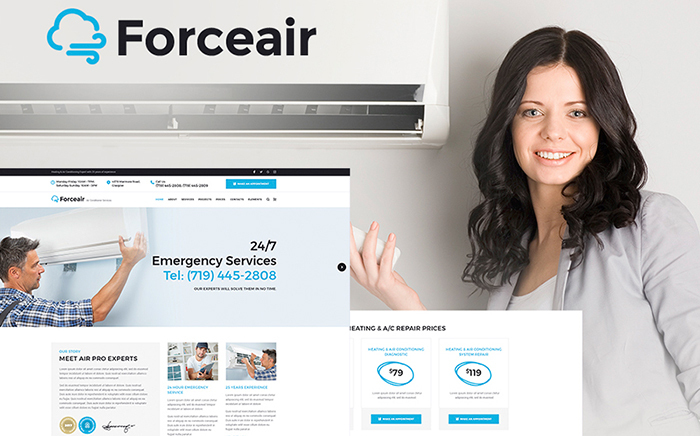 ForceAir is a good-looking WordPress theme. 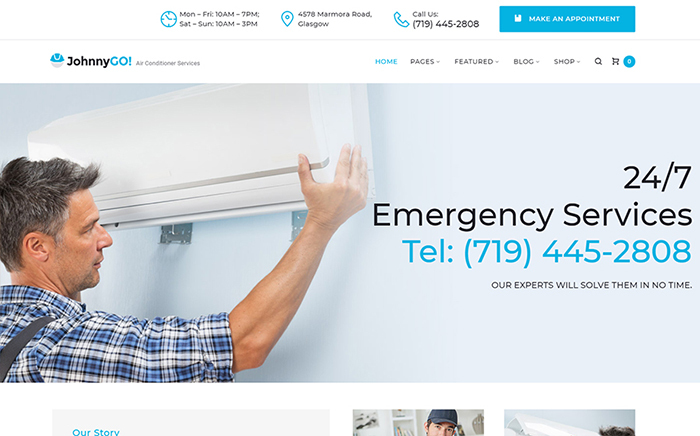 It fits great for an air conditioning services website. Thus, it’s easy to create a fully functional website that impresses your audience at first sight. It makes it easier to for your customers to make an appointment, get in touch with you and write comments. Crafted with Elementor, ForceAir allows you to create pixel-perfect page layouts & add content even very easily. Finally, it’s also WooCommerce ready, SEO-friendly, and includes JetElements included for the best results. Vallees offers a bunch of stunning pages dedicated to spa, massage and beauty salon websites. Built with the powerful Elementor page builder, Vallees is ready for import into any page with just one click. Moreover, you can use them with any theme to represent your business in the most engaging way. Besides, it comes with useful and innovative JetFamily plugins which provide infinite possibilities when customizing your website. With Champio, you get 5 amazing pages crafted for sports websites. 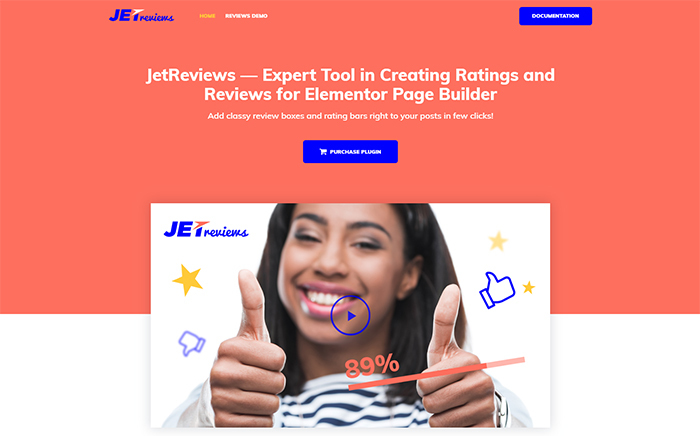 It’s easy to customize the appearance of your website with the help of the Elementor page builder and powerful Jet family plugins. 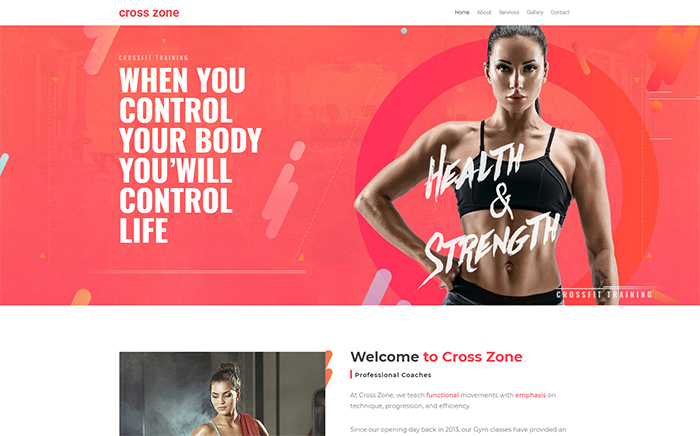 Enrich your fitness studio website with a diverse set of functions and web elements. Make multiple alterations to your website without touching a single line of code. 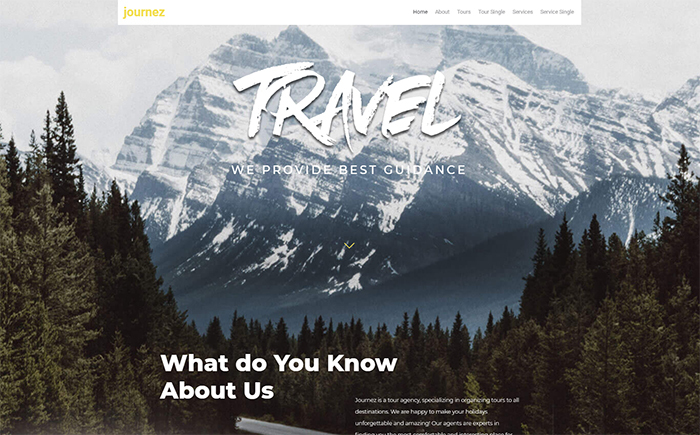 Looking for ways to enhance the functionality of your travel agency website? Grab these 6 attractive pages that can be easily imported and used for your site. Better yet, thanks to the Elementor page builder, you can edit, create,customize widgets, sections and different design elements to stand out early in the game. Unlock your opportunities with a bunch of Jet family plugins. If you’re struggling to find a landing page that matches your particular business requirements give Masterity a try. Built with the Elementor page builder, this clean and minimal landing page can get you through the day with ease. The template is ready to import onto any page within seconds. Use it to your benefit to best represent your business and its mission. 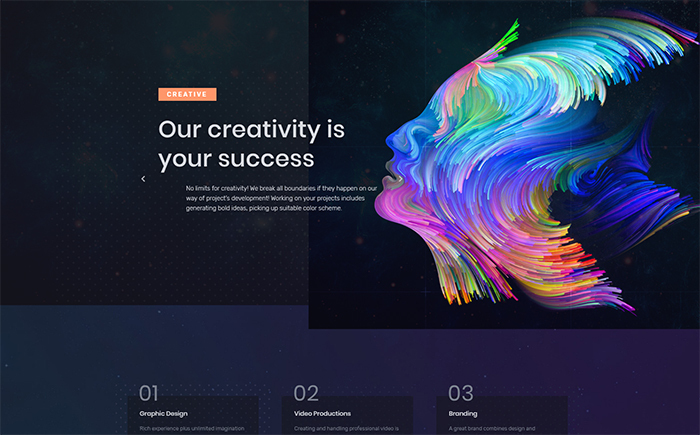 Here’s another eye-catching landing page that fits well for photography websites. This template can suit for Elementor and Jet plugins version. 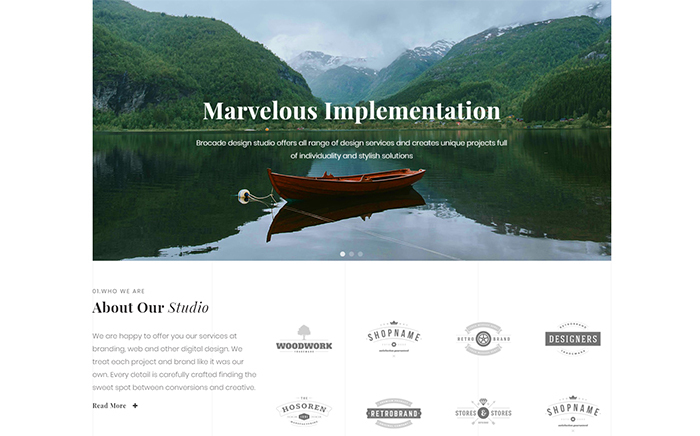 Change the overall appearance of your website by using this carefully-designed template. That said, with no coding skills you can achieve your every desire. The main feature of Graffis is its compatibility with the Elementor Pro version. 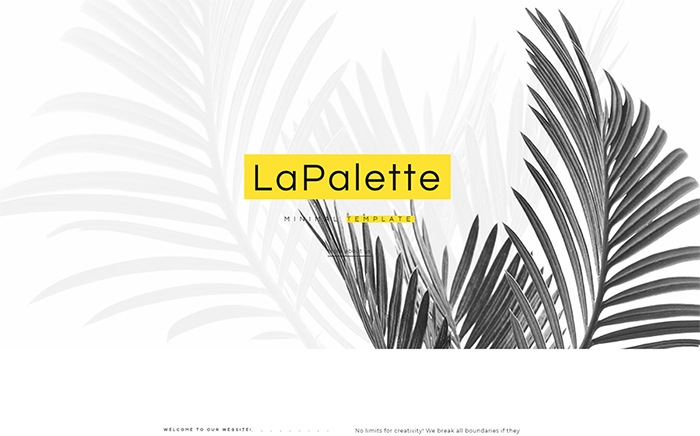 This eye-catching template consists of a landing page that can best represent the values of any design & photography studio. Just import the template within seconds and enjoy its versatility. Go, have a look. Well, Studiex is a landing page compatible with Elementor Pro version. 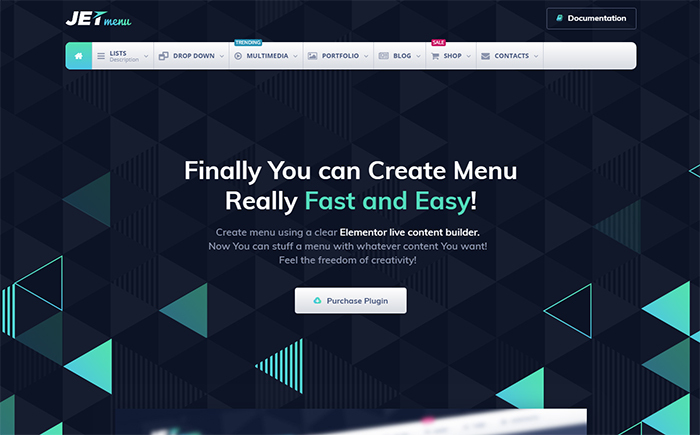 You can use it for any web project built with Elementor page builder. 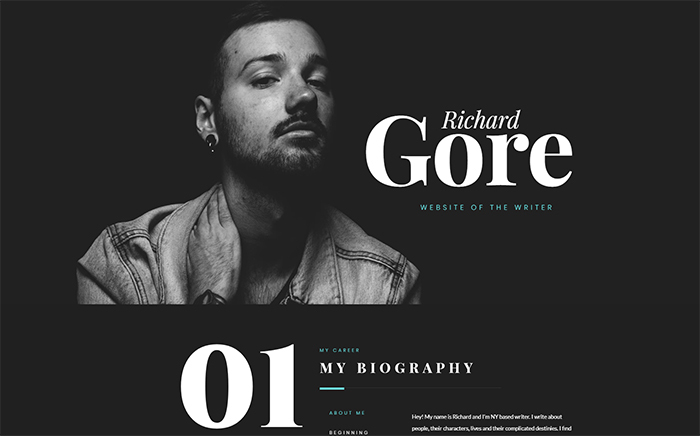 Don’t miss a chance to create a unique appearance to your website. Expand its functionality and enhance your online presence. Enjoy this amazing landing page built with the help of Pro Elementor page builder. It fits great for writers, bloggers and personal web projects to showcase all needed information in a more engaging way. Import and customize it without the headache of any coding. One click, one page. Marketz is a landing page that can’t be missed. 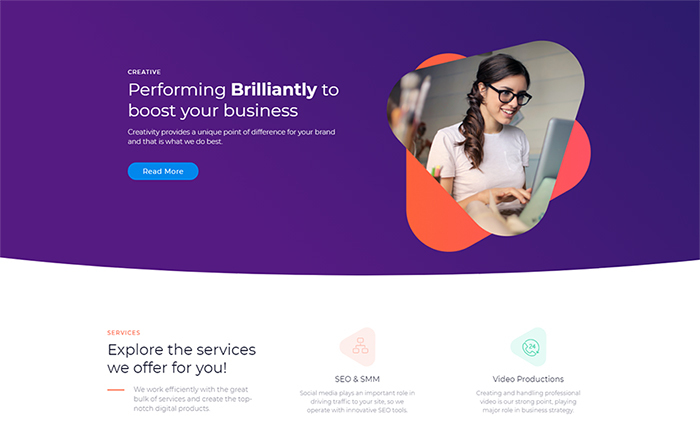 Crafted to boost your business, this landing page can suit for Elementor Pro version. Compatible with powerful Jet family plugins, it allows you to edit and create new design elements with no coding skills. Get ready for a quick start. 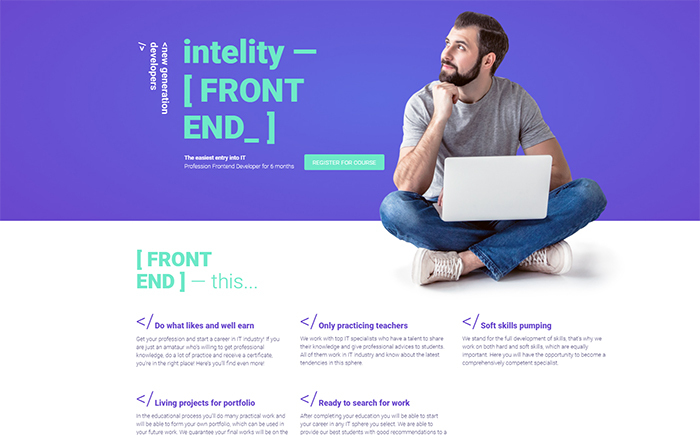 Showcase your unique web project using this attractive landing page compatible with Elementor Pro version. Clean and crafted with care, it allows you to enhance the functionality of your design portfolio website. Import and use it without hacking into any coding issues. Go ahead. 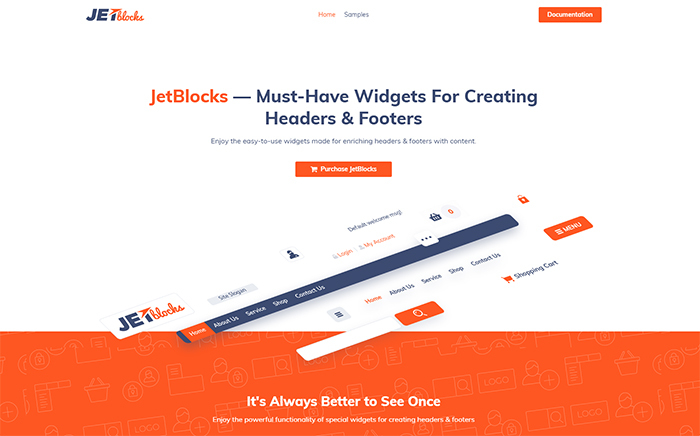 Grab an opportunity to enrich headers & footers with content using JetBlocks plugin. With this plugin, it’s easy to add textual & image logo to headers & footers, customize fantastic logo forms, add several registration forms or authorization links. Creating headers & footers on a professional level with no coding issues just became easier than ever. Learn more about what’s possible with JetBlocks plugin. Create as many Parallax layers as you want to enjoy outstanding Parallax effects easily. 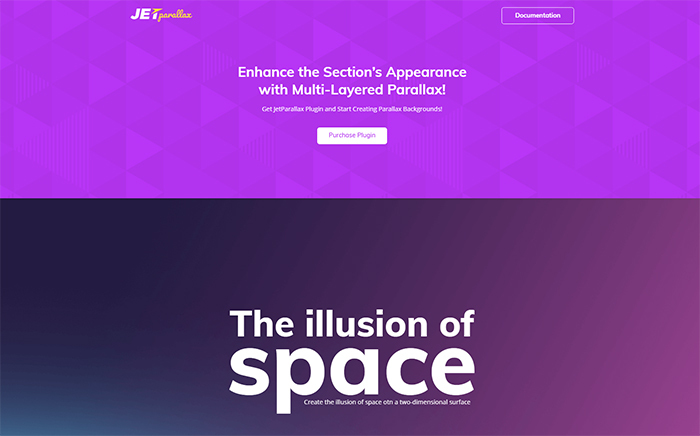 It’s easy to apply Parallax effect to backgrounds of different sections. Thanks to JetParallax plugin you can easily create multi-layered Parallax backgrounds with zero effort. Besides, all the needed documentation on how to work with JetParallax comes included, too. 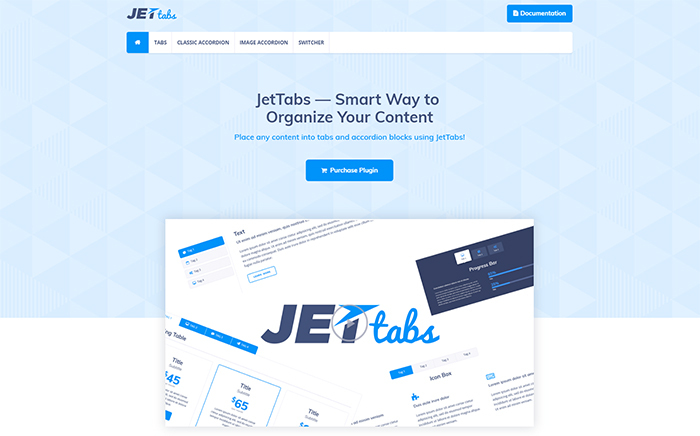 JetTabs is the first-class Elementor page builder plugin that helps organize your content the way you want. You get a set of top-notch tabs and accordion widgets to master tab layouts like a pro. Besides, it also includes the ability to switch between blocks in a single click. Enjoy its simplicity, superb design, WPML compatibility, and responsiveness on all modern devices. Wished upon to creating ratings and reviews like a pro? Grab JetReviews plugin & enjoy its functionality to help you showcase ratings. In fact, it’s easy to work with JetReviews plugin to create reviews and rating progress bars in few clicks. It offers versatile typography settings, vivid colors, shadow boxes and manages other style elements you may need to create a truly eye-catching review block. What’s more is that it’s responsive and compatible with WP Review plugin. Last on the list is JetMenu. Another first-class Elementor page builder plugin that allows adding any modules right to the menu within minutes. Enjoy its versatility, compatibility with the most popular WordPress themes, with no coding issues. What’s more, it offers magnificent color palettes, fully customizable backgrounds, and a Mega Menu module. Experiment with its possibilities as much as you want..